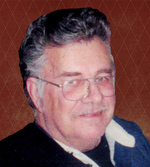 M. Gordon Moore – 78, Truro, passed away peacefully in Cedarstone Enhanced Care, Truro on Sunday, November 25, 2018. Gordon is survived by daughters, Connie (Kenny), Jamie (Don), Donna; son, Gordie (Sally) as well as many grandchildren, nieces and nephews; sisters, Rosalie, Stella, Leotta, Ann, Lorraine; brothers, Clarnie, Frankie, Ricky. He was predeceased by sisters, Jean and Evelyn.